Heckmondwike FB, a market leading manufacturer of heavy contract commercial carpets, is supporting the future of flooring industry by sponsoring an apprentice across its National Floorcoverings Ltd group of companies. 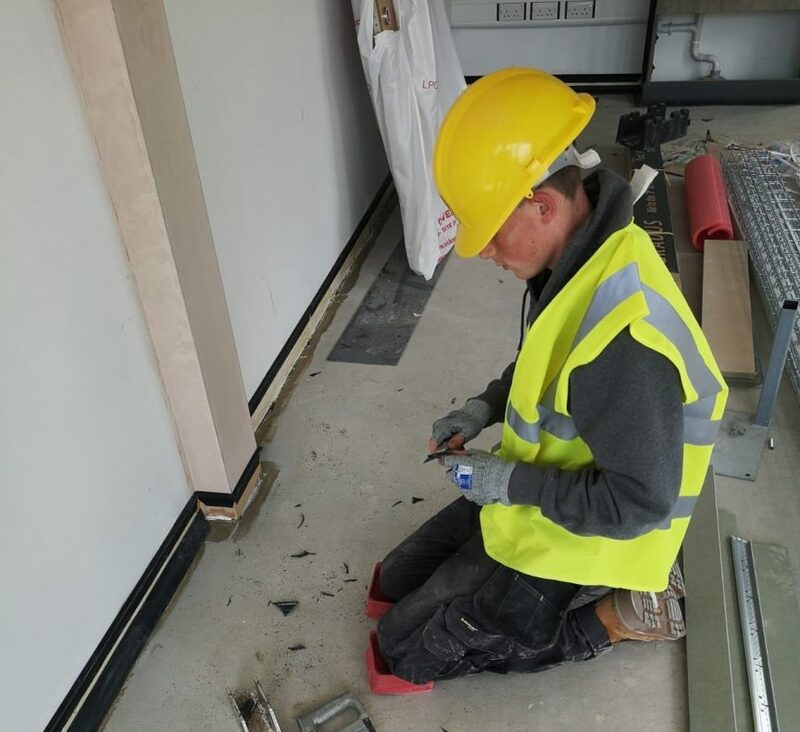 The company is working alongside Hillside Contracts, a flooring contractor in Leicester to provide assistance to Kai Linton, a trainee floor layer. Having started his course in September 2018, Kai is currently completing the first year of his two year apprenticeship, making him an important part of the future of the flooring sector. He is learning his trade through onsite training assessments and tutoring at Floortrain Training Centre in Doncaster. With little assistance from local trade bodies or colleges, Heckmondwike FB’s sponsorship supports 17-year-old Kai in covering transport costs from his home in Nottingham to Doncaster, alongside the essential tools and equipment needed to carry out his work. Heckmondwike FB and Hillside Contracts have worked together closely for over 20 years, with Heckmondwike FB providing the company with its full range of fibre-bonded carpets, including the company’s flagship product, Supacord. Bob Mortimer, UK Sales Manager for Heckmondwike FB said: “From speaking to our customers in the flooring industry, we are well aware of the skills shortage within the sector and are eager to play a role in addressing the balance. “As a company, education is one of our most important sectors, with millions of square meters of Supacord installed in schools, colleges and universities right across the country — so it’s important for us to give something back to the industry. Chris Goode, Director of Hillside Contracts added: “In the current market, it is becoming increasingly difficult to recruit experienced floor layers, particularly when looking at commercial projects. Therefore, employing an apprentice guarantees our workforce is as skilled as possible for years to come.